Just like in the last two years, Google is using the beginning of March to launch the first developer preview of the next version of Android. 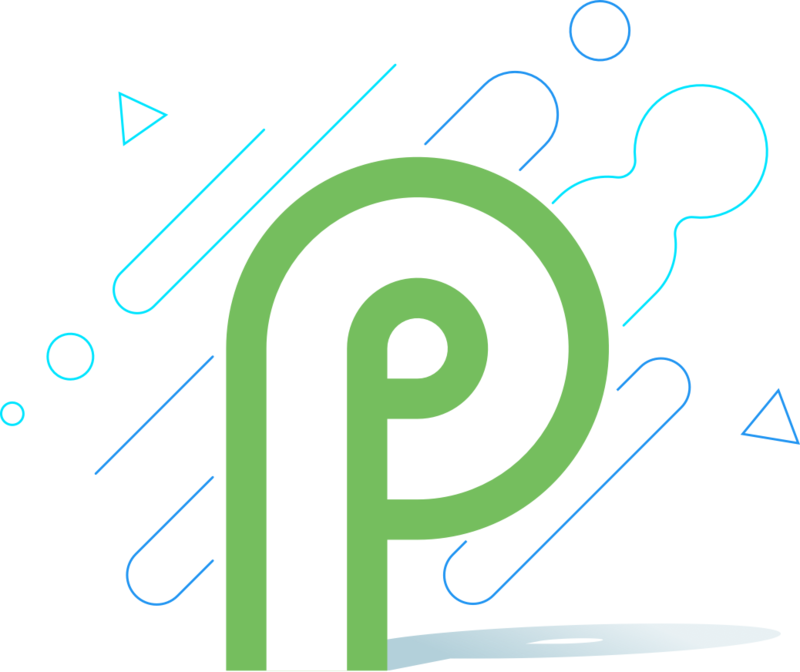 Android P, as it’s currently called, is still very much a work in progress and Google isn’t releasing it into its public Android beta channel for over-the-air updates just yet. That’ll come later. Developers, however, can now download all the necessary bits to work with the new features and test their existing apps to make sure they are compatible. As with Google’s previous early releases, we’re mostly talking about under-the-hood updates here. Google isn’t talking about any of the more user-facing design changes in Android P just yet. The new features Google is talking about, though, will definitely make it easier for developers to create interesting new apps for modern Android devices. So what’s new in Android P? Since people were already excited about this a few weeks ago, let’s get this one new feature out of the way: Android P has built-in support for notches, those display cutouts Apple had the courage to pioneer with the iPhone X. Developers will be able to call a new API to check whether a device has a cutout and its dimensions and then request full-screen content to flow around it. 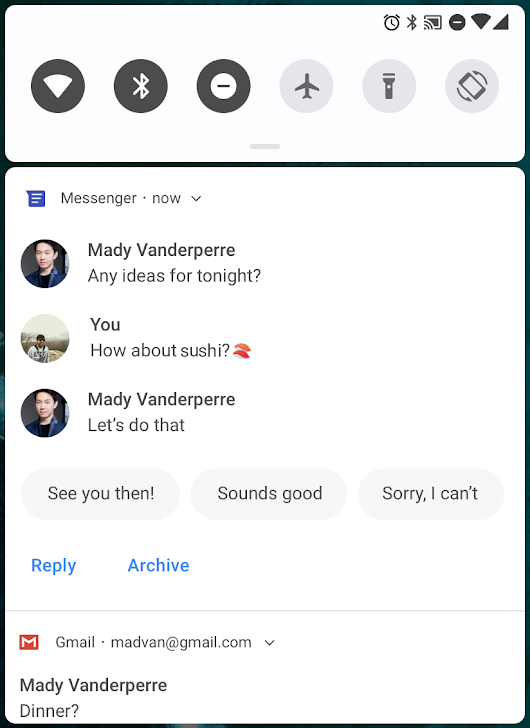 While Google isn’t talking much about user-facing feature, the company mentions that it is once again making changes to Android notifications. This time around, the company is focusing on notifications from messaging apps and it’s giving developers a couple of new tools for highlighting who is contacting you and giving developers the ability to attach photos, stickers and smart replies to these notifications. A couple of new additions to the Android Autofill Framework for developers who write password managers will also make life a bit easier for users, though right now, the focus here is on better data set filtering, input sanitization and a compatibility mode that will allow password managers to work with apps that don’t have built-in support for Autofill yet. While Google isn’t introducing any new power-saving features in Android P (yet), the company does say that it continues to refine existing features like Doze, App Standby and Background Limits, all of which it introduced in the last few major releases. What Google is adding, though, is new privacy features. Android P will, for example, restrict access to the microphone, camera and sensors from idle apps. In a future build, the company will also introduce the ability to encrypt Android backups with a client-side secret and Google will also introduce per-network randomization of associated MAC address, which will make it harder to track users. This last feature is still experimental for now, though. 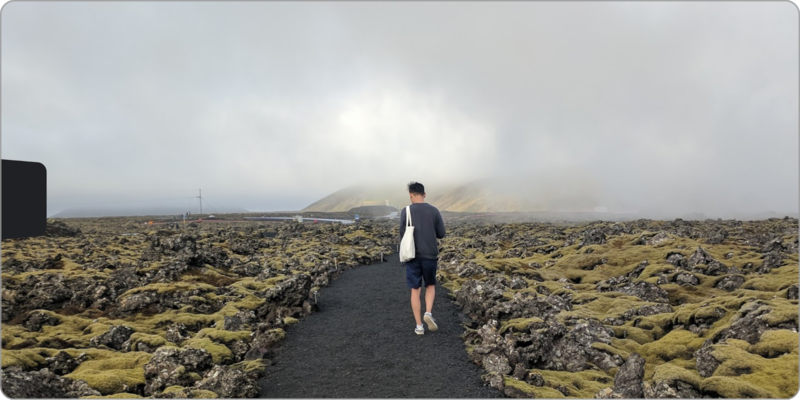 One of the most interesting new developer features in Android P is the multi-camera API. Since many modern phones now have dual front or back cameras (with Google’s own Pixel being the exception), Google decided to make it easier for developers to access both of them with the help of a new API to call a fused camera stream that can switch between two or more cameras. Other changes to the camera system are meant to help image stabilization and special effects developers build their tools and to reduce the delays during initial captures. Chances are, then, that we’ll see the more Frontback-style apps with the release of Android P.
On the media side, Android P also introduces built-in support for HDR VP9 Profile 2 for playing HDR-enabled movies on devices with the right hardware, as well as support for images in the increasingly popular High Efficiency Image File Format (HEIF), which may just be the JPEG-killer the internet has been searching for for decades (and which Apple also supports). Developers now also get new and more efficient tools for handling bitmap images and drawables thanks to ImageDecode, a replacement for the current BitMapFactory object. Indoor positioning is also getting a boost in Android P thanks to support for the IEEE 802.11mc protocol, which provides information about Wi-Fi round-trip time, which in turn allows for relatively accurate indoor positioning. Devices that support this protocol will be able to locate a user with an accuracy of one to two meters. That should be more than enough to guide you through a mall or pop up an ad when you are close to a store, but Google also notes that some of the use cases here include disambiguated voice controls. Once you are in that store in the mall and want to pay, Android P now also supports the GlobalPlatform Open Mobile API. That name may evoke the sense of green meadows and mountain dew, but it’s basically the standard for building secure NFV-based services like payments solutions. Developers who want to do machine learning on phones are also in luck, because Android P will bring a couple of new features to the Neural Networks API that Google first introduced with Android 8.1. Specifically, Android P will add support for nine operations: Pad, BatchToSpaceND, SpaceToBatchND, Transpose, Strided Slice, Mean, Div, Sub and Squeeze. But wait, there is more. Now that Kotlin is a first-class language for Android development, Google is obviously optimizing its compiler and for all apps, Google is also promising performance and efficiency improvements in its ART runtime.